With hall difficulties looming Swindon Shock were forced to reschedule their National Shield match from the 21st of October to the 23rd of September against Richmond Knights. With Richmond securing a win against Division 3 Essex Blades, Swindon knew they would have their hands full. To add on to the pressure, Shock were forced to play without starting center Matt Ford, and 3 shooting guards including the red-hot Mantas Kmita who had posted 29 points the week before. The first quarter saw the home side jump out early as point guard Antonio Wilburn dictated the pace and Matt North found his shooting form putting Shock up 26-17. After a stalemate in the second quarter with both sides scoring 18 a piece, Shock began to lose their pace as a the shorthanded side began to succumb to a strong Richmond bench dropping the quarter 13-25 in the guest favour. But Ed Potter quickly found his groove pouring in back to back shots in route to 29 points. Whilst Antonio Wilburn’s clutch 3 pointer put Shock ahead and began a 10-2 run for the home side midway through the 4th. However the games ending would add more drama as both Antonio Wilburn and Ed Potter fouled out of the game with just over two minutes to play and Shock up 78-70. Reserves Sam Newman, Alistair Tilney, David Colclough, and Janis Spruds dealing with a knee injury would join Matt North in holding off a Richmond side desperate to get back into the game. Shock would go on to match Richmond’s intensity and finish off the game 83-75. The win advances Shock into the 3rd round of the National Shield where they will play the winner of the Calderdale Explores VS. New Castle U23 on November 11th at home. Shock has also advanced to the National Cup 3rd round where they will be guest against Division 1 Barking Abbey October 14th. Next match is a regular season game against Cardiff Archers September 29th at New College 2pm tip. Shock Wheelchair have another busy season ahead. They will be entering Div 1 (South), the newly formed South West Development league and also contributing to the South West Warriors Jnr Team. Click here for fixtures and training times. Head Coach Lewis Bird will be supported by Antonio Wilburn and Ben Fox to deliver training sessions on Friday evenings at Youth First. We are pleased to welcome Luke Collier into the squad. Also, we need to thank Thames Water, Irwin Mitchell and One Stop for their financial support this season. 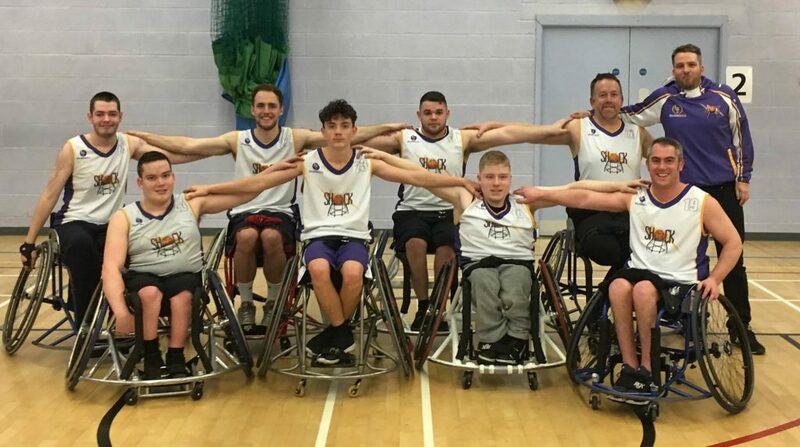 After going 2-1 in Germany and 4-0 in the Birmingham Invitational, Swindon Shock are ready to kick off their season in the National Cup against Dorset Storm. Feel free to come down and support your National team in the New College Sports hall (New College Dr, Swindon SN3 1AH). Doors open at 1pm and Tip is at 2pm. Swindon Shock are opening their doors to recruit more talent for the 2018-2019 season. 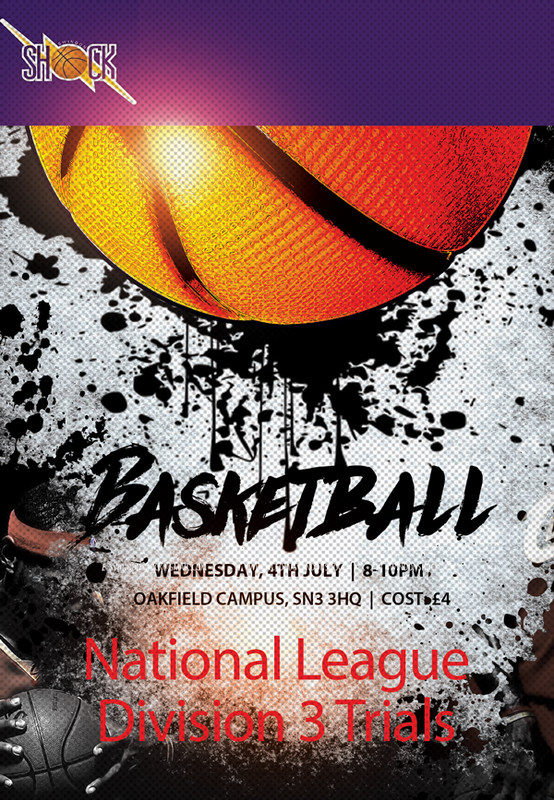 Do you think you have what it takes to play Division 3 National League. If so then the place to be is Oakfield Campus Marlowe Ave Swindon SN33HQ, please bring £4. Trials are on going every Wednesday through August. If you are also looking to play Local League this is the perfect opportunity to show case your skills for playing alternative competitive competitions in the South West. For more information please email us at swindonshock@gmail.com. Apologies for the down time, but the website is back up and running and here is the latest update on Swindon Shock Local and National teams. Shock National got their first win Against Essex Blades before losing a late game by 3 points to Oxford Brookes University. Shock are welcoming the bye week to get a few injuries sorted out and will look to be ready for a home game against Solent in a few weeks time.